British low-carb nutrition advocate and obesity expert Zoe Harcombe returns as our guest today in Episode 643 of The Livin’ La Vida Low-Carb Show with Jimmy Moore! We've been told by the so-called health "experts" that the reason why so many people are dealing with a weight problem is because they eat too much and don't exercise enough. This notion has been repeated so often that it has just become generally accepted as fact without anyone ever looking into whether it's actually true or not. That's why we invited back Zoe Harcombe (listen to my previous interview with her in Episode 427) to share about her brand new 2013 book revealing the truth about why weight gain happens (and it has very little to calories). 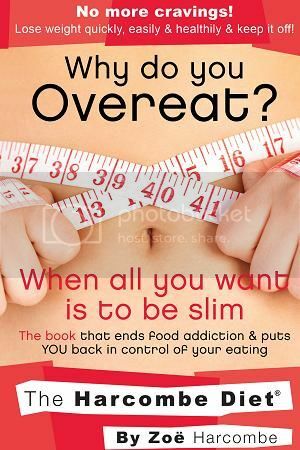 It's called Why Do You Overeat? When All You Want Is To Be Slim and it pulls the curtain back on the conventional wisdom that continues to plague those who are desperately seeking a way to lose weight and get healthy for good. Listen in as Jimmy and Zoe have another delightful conversation about the reality of obesity and how low-carb living can help reverse it.